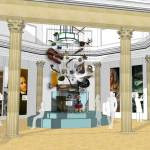 As work on Bolton Museum's new Egyptology gallery progresses, new designs for the £3.8 million project have been released. Bolton Library and Museum Services are working with museum exhibition designers, Leach Studio, to create a bespoke gallery entitled Bolton's Egypt. Conceptual designs have been revised following feedback from the public and partners and these are the latest artist's impressions of how the gallery will look. Bolton's Egypt, which is set to open in 2018, will be divided into sections depicting the history and importance of the borough's Egyptology collection. In addition, there will be a section devoted to Chadwick Museum – depicted as a doll's house set in parkland – and how Bolton came to acquire such an extensive Egyptology collection. Chadwick Museum was the town's first museum; opened in 1884 in Queen's Park. When it became too small for its growing collections, the museum in Le Mans Crescent was built in the 1930s and eventually opened in 1947, where it still stands today. Local mill owner's daughter, Annie Barlow, was a member of the Egypt Exploration Fund in the 19th Century and helped to raise funds for excavations in Egypt. In return for her generous contributions, the museum was given a number of artefacts. Bolton Council's Executive Cabinet Member for Regeneration and Resources, Cllr Ebrahim Adia, said: "This project is the most significant development the museum has seen in many years and it is a privilege to be a part of it. "It's very exciting to see the designs develop and change in order to reflect the museum's collection, and I can't wait to see the finished gallery. 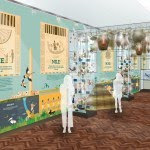 "Bolton's Egyptology collection is one of the most significant in the UK, so we'll be pulling out all the stops to create a visitor attraction of international quality and appeal." 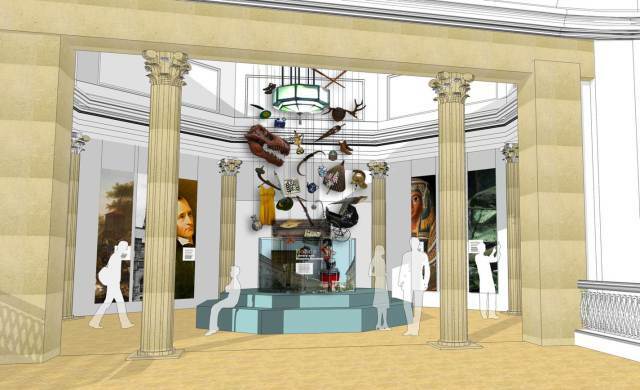 Nichola Ward, Head of Creative, Leach Studio comments: "As museum exhibition designers it's been fantastic to work with the team at Bolton Museum and Willmott Dixon on such a significant project. "Working closely with the museum team has allowed us to really explore the collection and create some exciting and often brave designs. It's inspiring to work with a client team that is open to ideas and is really helping to create a fun-filled experience for visitors that shows the breadth and beauty of Bolton's astonishing Egyptology collection. "The designs have received great feedback from the team and we're delighted to unveil our latest impressions. We hope everyone is as excited as we are – we can't wait to continue our journey with Bolton's Egypt and look forward to its opening next year." Mummified bodies from Egypt and the Canary Islands are having their digestive tracts tested and compared to living people in order to reveal how the bacteria in our guts has changed over the centuries and how it varies between people with different diets. It's part of a recent wave of research into what's known as the gut microbiome - the collection of bacteria that live in our digestive system - which also includes looking at how these bacteria influence obesity. It is thought that the more diverse the mix of bacteria in your gut, the healthier you are. 'Western populations have already lost 30 % of the biodiversity of their gut microbiome,' said Spanish scientist Dr Ainara Sistiaga. She is examining mummies from Egypt and the Canary Islands to better understand the microbiome of our ancestors. 'We are discovering every day how important our microbiome is to our biology, even our mood, and many diseases are related to gut bacteria,' said Dr Sistiaga. Yet little is known about how this vital microbial cargo changed during our evolution and as we moved from being hunter-gatherers to farmers and to a diet rich in processed food. It could be hugely beneficial to know what sorts of bacteria lived inside our ancestors and what we have lost, says Dr Sistiaga. Right now scientists do not have the tools to understand the microbiome of people from bygone times, but this is a goal of Dr Sistiaga's EU-funded research project, MIND THE GUT. She will search for tell-tale lipid compounds, proteins and DNA from bacteria in the bodies of mummies and people today. 'Lipids stay around for longer and might tell us which gut bacteria were around,' explained Dr Sistiaga, who is affiliated with the Massachusetts Institute of Technology, in the US, and the University of Copenhagen, Denmark. She will study two types of mummies. 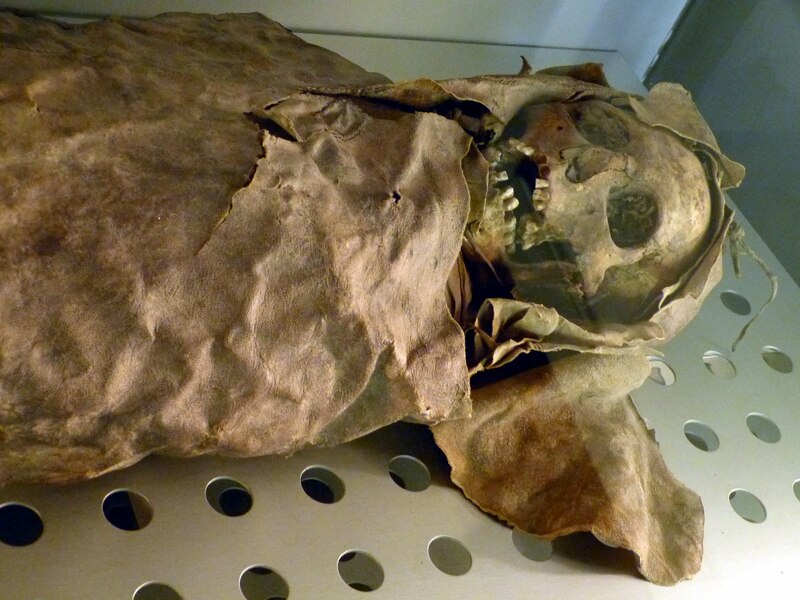 First, she'll take small samples from the gut of mummies preserved on the Canary Islands which date from before the Spanish conquest of the 15th century. Those from the island of Tenerife were pastoralists, while those from Gran Canaria were likely farmers. They mostly date from between the 9th and 13th century. The other type are Nubian mummies from Egypt in the British Museum who were people who died in the Nubian desert around the 9th to 10th century and were naturally mummified by the dry conditions there. Dr Sistiaga will compare the microbiome of mummies to the hunter-gathering Hadza group living in Tanzania and a separate pastoralist community called Datoga living nearby. 'This study will help us understand what a healthy microbiome is and how it adapts to different environments, diets and lifestyles,' she said. She previously studied organic compounds from Neanderthal waste, which showed that they ate plants. 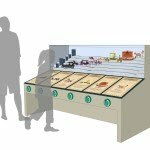 Health lessons for modern times might come from this bio-archaeology project, which will also examine human waste to identify signatures, or biochemical markers, from the gut microbiome. Each of us carries in our gut a two-kilo microbial horde that is part and parcel of our biology. The work of these microorganisms – which could number 100 trillion individual cells – is recognised as essential to our health. Scientists have learned that you can either host a diverse and healthy collection of intestinal bugs or perhaps a more minimalist, unhealthy collection. A high-fat Western diet can encourage an unhealthy microbiome, which often is found in those who are overweight. Worryingly, this situation is linked to diabetes, high blood pressure, inflammation and cardiovascular disease. Therefore, anything we can do to promote healthy bugs in our guts is a plus. Those who eat lots of fruit and vegetables carry around lots of an odd-sounding intestinal bacterium, Akkermansia muciniphila. This mucus-eating bug was first isolated in 2004 by a team working under Professor Willem de Vos at Wageningen University in the Netherlands. It makes up 5 % of bugs in a healthy gut, but in overweight people, it can be almost entirely absent. 'This bacteria lives close to intestinal cells in the colon,' said Professor Patrice D. Cani at the Université catholique de Louvain, in Belgium. What makes this bug truly interesting is what happens when it is fed to obese mice. It reduces their weight gain, cuts down on their bad cholesterol and dampens inflammation. Human studies hint at benefits too: obese people with more of this bacteria in their gut at the start of a six-week diet displayed better metabolic and heart health readings at the end. Prof. Cani is now running an EU-supported trial – Microbes4U – to see if feeding this bacteria to people improves health metrics such as blood sugar, cholesterol levels and low-grade inflammation. Patients consume the bacteria daily for 12 weeks and are monitored for safety and tolerance first, then weight gain or loss, inflammation, circulating fats and insulin resistance. They receive a sachet that contains either a placebo, one billion or 10 billion living bacteria, or 10 billion pasteurised bacteria. Prof. Cani and Prof. de Vos previously reported that pasteurisation boosted the effectiveness of A. muciniphila in reducing fat gain and controlling blood sugar levels in mice. The trial aims to gain insights for a larger study. There is already much evidence that diet impacts the gut microbiome. 'A diet high in dietary fibre, fruits and vegetables contain compounds like polyphenols that we know are food for our microbes,' Prof. Cani said. Worryingly, an unhealthy microbiome chips away at our gut barrier. 'The change caused by a high-fat, low-fibre diet changes the gut microbiome and causes leakage of some bacteria and pro-inflammatory compounds into the blood,' Prof. Cani explained. The weakened gut barrier allows compounds to leak into the blood that ramp up inflammation and are linked to metabolic syndrome: high blood sugar, abnormal cholesterol and high body fat. This increases your risk of heart disease, stroke and diabetes. Anything that lessens this unhealthy cycle would be a huge gain for the health of European citizens. 'We do not claim that this one bacteria can reverse obesity,' Prof. Cani said. 'But even reducing cholesterol in people would be a success.' Strong scientific evidence would be needed before the bug could be used to boost health, most likely as a food supplement. CAIRO – 30 October 2017: Secrets about ancient Egyptians still unveil. All throughout history researchers managed to uncover many fragmented truths around their magnificent civilization. Egypt Today explores the common dress code among Egypt's long ancestors as part of the ongoing series on ancient Egyptians' social life. 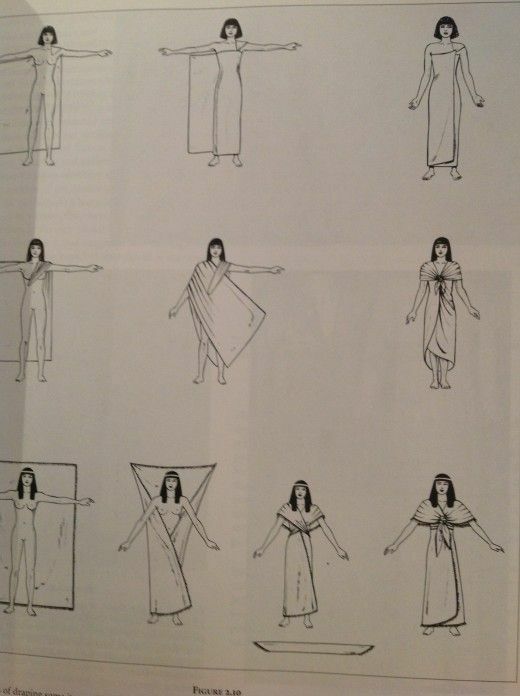 Inscriptions, paintings, and status enhanced the scholars' knowledge regarding fashion in ancient Egyptian society. Firstly, ancient Egyptian designers cared about the surrounding weather and the nature of Egypt. Due to the geographic location, Egypt's hot, dry weather in the summer obliged Egyptians to rely on light fabric clothing such as linen. 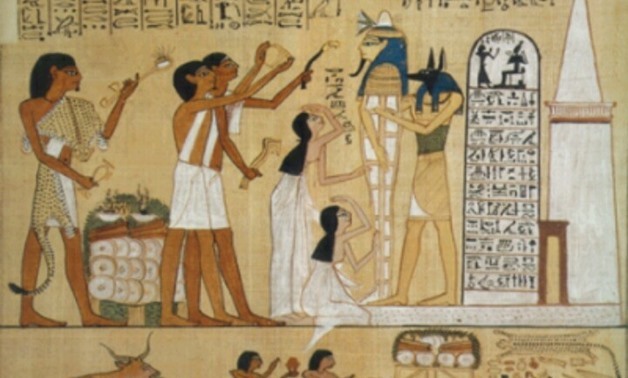 Mainly, ancient Egyptians at first used to wear white clothes but later on incorporated colors such as red, blue and gold with white. Later on, more materials were also used such as leather and wool, in addition to the many decorations that were added to their clothes. The early dress code was a piece of cloth shaped into a skirt. It was the simple main design that was improved afterwards. For kings, this skirt was provided with a belt to carry hunting tools. The noble class had certain dress codes, for example they wore short kits, and necklaces, while in the middle ages they upgraded to mid-calf kilts with large aprons and necklaces. In more modern periods, men wore knee-length shirts, loincloths or kilts made of linen, and leather loincloths, according to data published by the Canadian Museum of History website. Noble women, on the other hand, were known for their elaborately decorated dresses, jewelry, hair ornaments and scented cones. In regards to commoners, men kept using short skirts and women kept using long skirts. Generally, they kept simple designs or maybe some few ornamented parts. 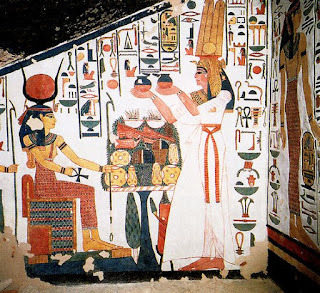 A woman in ancient Egypt was an icon of beauty, and they were amongst the earliest women to introduce make up. Ancient Egyptian women were known for their thickly lined eyelids and red lipsticks. They also dyed their hair with different natural materials such as henna. 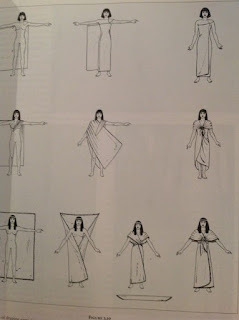 Long-sleeved dresses, short dresses, or even pleated dress were some of the designs worn by Egyptian woman. MINYA, Egypt (Reuters) - Coptic Christians in the south of Egypt renewed calls on local authorities for an end to discrimination, after a number of churches have been closed down in recent weeks. 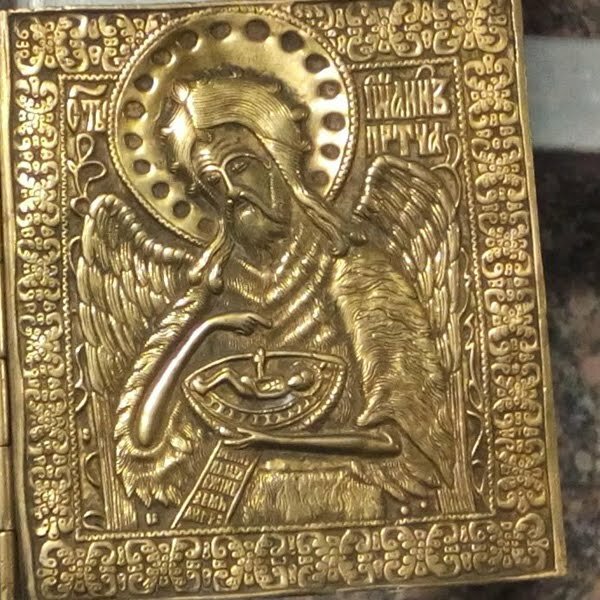 "We have kept quiet for two weeks after the closure of one of the churches, but due to our silence the situation has worsened ... it is as if prayer is a crime the Copts must be punished for," the statement, dated Saturday, read. The Minya security directorate spokesman declined to comment. The governor's office did not immediately respond to a request for comment. Coptic Christians, who make up 10 percent of Egypt's population of nearly 95 million, say they have been persecuted for years. Many feel the state does not take their plight seriously enough. Nonetheless, the Copts are vocal supporters of President Abdel Fattah al-Sisi, who has vowed to crush Islamist extremism and protect Christians. He declared a three-month state of emergency in the aftermath of two church bombings in April which has since been renewed. Though Islamic State has long waged a low-level war against soldiers and police in Egypt's Sinai peninsula, it has stepped up its assault on Christian civilians in the mainland. A wealth of Egyptian artefacts has helped Hong Kong museums achieve strong visitor numbers. Over 1,200 local events were scheduled for 2017 to celebrate the 20th anniversary of handover of Hong Kong from Britain to China. The initiative has brought more than 1.2 million visitors through their doors. This represents around a third of total attendance at six major public museums in Hong Kong between 2016-1017. One of the major successes was an exhibition lasting four months, on ancient Egypt that featured mummies. It ended on a high earlier in October, having garnered over 850,000 visitors to the Science Museum. This was around 70% of the total museum attendance for 2016. The showcase was the first time in decades that Egyptian mummies, on loan from the British Museum, were given pride of place in Hong Kong. 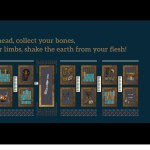 The exhibition, Eternal Life: Exploring Ancient Egypt, featured around 200 Egyptian cultural relics, included jewels placed on the mummies' bodies and in the coffins, as well as ancient Egyptian children's clothes and protective amulets. A multimedia programme with 3D projection mapping, interactive exhbits, plus virtual reality and holograms, created a wealth of information for visitors to learn more about life in ancient Egypt. Professor Ricardo Mak King-sang, a member of the Museum Advisory Committee under the Leisure and Cultural Services Department, told The South China Morning Post, "Perhaps it proves that the label of a cultural desert for Hong Kong is fading. If there are good exhibitions, Hong Kong people will come to see them." Committee chairman Stanley Wong Yuen-fai added that the next step should be conducting research on visitor demographics and their preferences to carve out future shows, arts and cultural policy. "A boom in visitor numbers is a good start. But we need to know more about our visitors, like whether most of them are students, or how often they visit our museums," Wong said. The government allocated HK$640 million for hosting and holding around 1,400 celebratory events locally and abroad. The fireworks display on 1 July was one of the most popular events, attended by over 260,000 people to Victoria Harbour for the 23-minute spectacular. Happy Halloween to our mission members, sponsors and friends! The South Asasif conservation Project is preparing for 2018 and looking forward to a great season. Meanwhile, we're in the mood to have some fun and celebrate with our own Katherine Blakeney, who is preparing to launch her new blog, Stardigger's Treasure Trove. Halloween is my favorite day of the year and I spend most of October preparing to celebrate this glorious day of darkness, monstrousness and decay. Hoping to scare my friends into the holiday mood I planned to make this post as bloodcurdling as I possibly could. And what better way to scare an archaeology lover than with a thoroughly terrifying mummy? A daring archaeologist dares disturb the tranquility of an ancient Egyptian mummy in Georges Méliès's 1900 short Infortunes d'un explorateur. So far so good. Now, to choose the right one. The phantom of Boris Karloff comes to mind at once, but I suspect he is all too familiar to you already. To scare you properly I resolved to delve into uncharted waters, into my favorite era in cinema history – silent film. 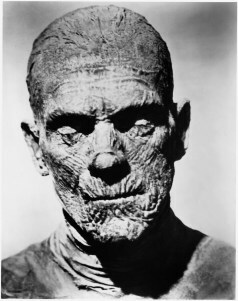 Considering that the earliest known film featuring the character of an Ancient Egyptian mummy was made in 1899, I had a lot of resin-stained bandages to wade through in search of my silent horror monster. 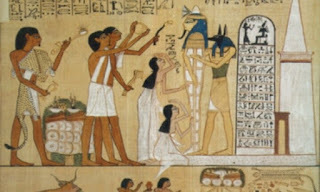 To my great regret, all I brought back from my journey into the afterlife was a flock of mummified damsels in distress. I apologize, but it is my lamentable obligation to present you with a parade of fair Victorian maidens clad in fashionably draped bandages. I can only assume that with all the glamorous dinners in Egyptian tombs and mummy unwrapping parties held at the turn of the 20th century, mummy bandages were seen as rather alluring. 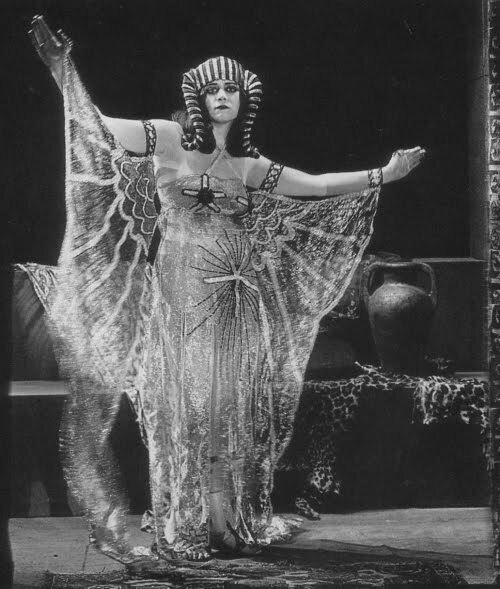 Theda Bara as Cleopatra in Cleopatra (Edwards, 1917). Not technically a mummy, but a vivid depiction of the exotically sensuous ancient Egyptian female as depicted in many films of the 1910s and 20s. 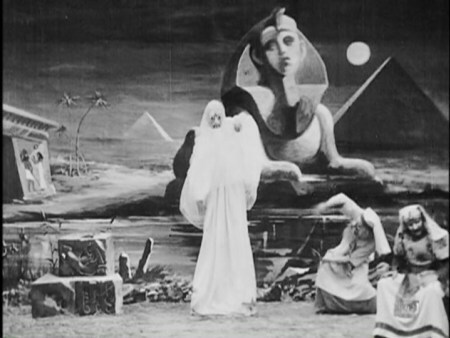 That first cinematic mummy of 1899 graced a humorous trick film called Cleopatra's Tomb, directed by French illusionist and special effects pioneer Georges Méliès. It centers around a seductive female mummy reanimated by a prying archeologist who loses no time in falling for the "monster" he has unleashed. Perhaps a horror story in the making, but there's no sign the film had a sequel. From this early cinematic experiment until the mid-1920s, around twenty films were made with titles containing the keyword "mummy." I'm rather partial to Romance of the Mummy, Mummy Love and The Eyes of the Mummy. The Live Mummy and The Missing Mummy aren't bad either. 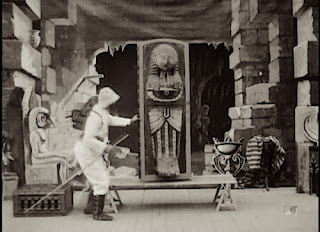 The above number includes the United States, United Kingdom and France alone, roughly translating to 2-3 mummy-themed films a year (all referring to a preserved ancient body rather than a maternal parent). Many of these films are unfortunately lost and we have no way of knowing how many more were burned in studio backlots to make way for newer and more fashionable films. Incidentally, burnt celluloid was once widely used by conservators of Egyptian art as a solidifying protective varnish. I suppose we know what really happened to all those unwanted mummy movies. How's that for a horror story? But what about lumbering revenants slinking out of sarcophagi in the night, muttering ancient curses under their breaths as their embalmed fingers crush the tracheas of solid modern citizens? Ask Boris Karloff. The familiar image of the vindictive monster-mummy as seen in the popular The Mummy franchise (1999-2008), didn't come into its own until Karloff's Imhotep in the 1932 horror classic The Mummy. Most of the mummies of the Silent Era, as seen in films such as 1911's The Mummy or the 1918 German film Die Augen der Mumie Ma (Eyes of the Mummy Ma), are not vengeful killers, but rather exotic ingénues in search of rescue at the hands of a strong and silent archaeologist. These films have little or no connection to the horror genre as we know it today, traversing the spectrum from comedy to romance. A lighthearted approach to a macabre subject and a reflection of contemporaneous perceptions of archaeological finds and archaeologists themselves. Overall, the resurrected mummy of the early 1900s and 1910s brings to mind Théophile Gautier's 1840 short story, "The Mummy's Foot" rather than the costume rack at your local pharmacy. Gautier's mummy, who comes to collect her stolen foot from a Parisian antiques collector, is not a psychopathic priest but a beautiful princess. She uses charm and bargaining skills rather than violence to achieve her aim, bartering her mummified foot for a statuette. The story is humorous, but it also presents the mummy as mysterious, desirable and ultimately benevolent. 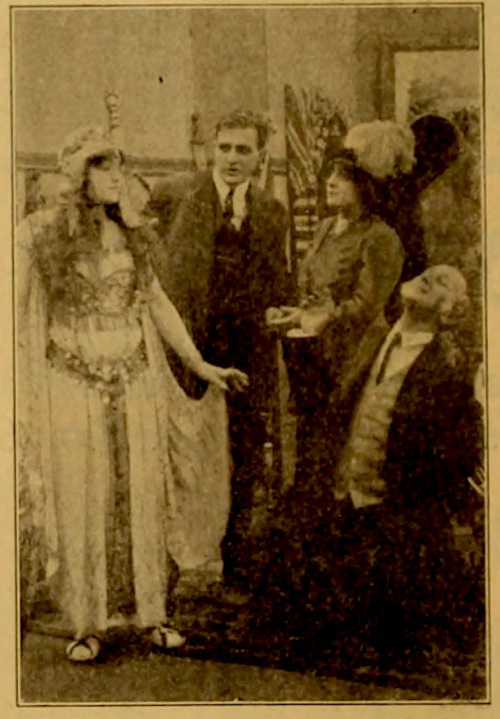 Thanhouser Company Films' The Mummy (1911) also centers around a mummified Egyptian princess stranded in the midst of modern society. Revived by an electric current, she instantly forms romantic designs on a young Egyptologist – greatly vexing his fiancee. There are no ancient curses here, and the story ends not with a battle but with a wedding as the amorous princess finds a widowed professor to marry – a fortunate solution for all involved. Eyes of the Mummy Ma (Lubitsch, 1918) injects additional drama into the ubiquitous tale of the undead singleton. 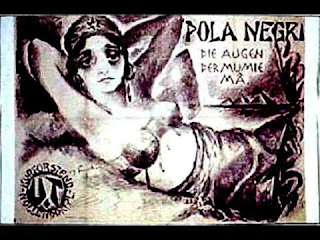 This entry features a villainous Egyptian hypnotist (Emil Jannings) forcing a living maiden (Pola Negri) to impersonate the eponymous mummy. In a not-so-shocking twist she is rescued by a heroic European painter who brings her home with him to be his muse. The film celebrates her exotic allure while at the same time hinting that she's far better off in the care of civilized Europeans. It's all very well being a rescued mummy, as long as you don't get your bandages caught in the teapot while entertaining guests. 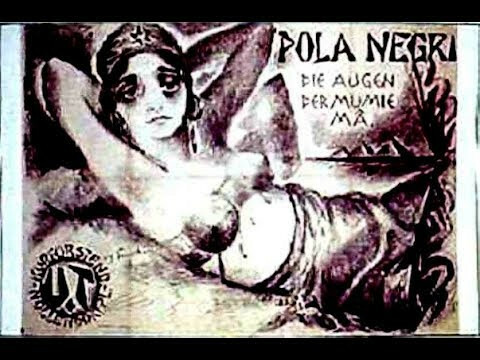 Poster for the 1918 German film Die Augen der Mumie Ma (English language The Eyes of the Mummy or The Eyes of the Mummy Ma), featuring the seductive mummy of the title. This post hasn't gone at all the way I envisioned. Instead of making you scream and run, my ferocious cinematic mummies pine for your love and attention, painting lovely watercolors as they wait for the right archaeologist to come along. Perhaps this is a terrifying prospect after all? If you'd like to adopt a mummy this holiday season you can take your pick by exploring the links I've collected below, leading to preserved and restored silent films where possible or to stills from those that became conservation materials. Dr Jane Humphris with workers at the UCL Qatar Iron and Kush Information Point. UCL Qatar archaeologist Dr Jane Humphris says her return to work in the ancient city of Meroe in Sudan, earlier this month, felt like "coming home". 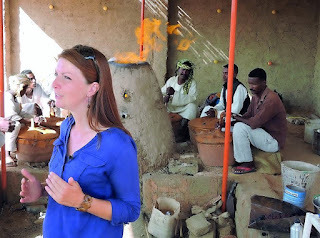 Dr Humphris, who heads UCL Qatar's Sudan archaeology project, has been overseeing investigations into ancient iron production associated with Meroe, a royal capital of the Kingdom of Kush, for the last five years. During this time, the UCL Qatar team has unearthed many exciting archaeological finds, been instrumental in involving the local community at Meroe, and provided dedicated training to Sudanese university graduates. 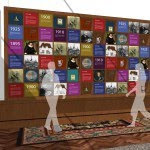 Earlier this year, the team opened the 'UCL Qatar Iron and Kush Information Point', for visitors to learn about the technological history of the area. "You really start to become part of the local community out here," said Dr. Humphris. "Over the years we've built a 'dig house' for the team. So now, when I'm driving to the village where our site is, it's like coming home. The people living in the area, many of whom work with the project, are like one big extended family." While Meroe has been known as an ancient iron production center for around 100 years, very little archaeology research had been done in relation to the metallurgical remains until the UCL Qatar project, backed by Qatar Foundation (QF) and Qatar Museums (QM), began excavating in 2012. "We've found very early iron production at the site as well as later iron works," said Dr. Humphris, who explained that Meroe was the second capital of the Kingdom of Kush, which was a powerful African state from roughly 800BC to 350AD. When the UCL Qatar team discovered an ancient iron production furnace workshop at Meroe in 2014, it gave rise to the idea of building an Information Point on the site. Dr. Humphris' team built a replica of the furnace workshop next to the biggest iron remains at Meroe. "We built the furnace and it worked, so we staged the area as if people living at the site 2,000 years ago had just been smelting. We built a shelter over the furnace and hung information panels in Arabic and English providing information about the Kingdom of Kush, the Royal City of Meroe, as well as iron production and its importance. The idea is that people can go there anytime and learn about the site and its important history," she said. Like any successful archaeological project, UCL Qatar's Sudan research is dependent on the analysis of samples taken from the site. Through its collaboration with the Sudan National Corporation for Antiquities and Museums in Sudan, as well as generous funding from the Qatar Sudan Archaeology Project, which supports 40 archaeological teams working in Sudan, the team has been able to bring a wide range of samples back to the material science labs in Education City for analysis. "We've had some really nice object finds, not gold or treasure, but things like a figurine that could have been a child's toy, and huge quantities of pottery that help us to examine what people might have been eating or drinking. I really like finding things that bring the human aspect into the archaeology we're excavating." Dr. Humphris describes the labs at UCL Qatar as "almost unparalleled" in the region. "The analysis we carry out on samples here allows us to recreate and tell the story of the past. The facilities QF provides are very impressive, and it goes beyond the laboratories. We have the most amazing library at our disposal that covers everything from museums to database management to conservation." The head of UCL Qatar research in Sudan says she is looking forward to the current 12-week season at Meroe. In terms of plans for season ahead, Dr. Humphris and her team will carry out further excavations at one of the most important temples at Meroe, which was situated by the ancient architects on top of the remains of iron production; and the excavation of one of the earliest buildings ever found at the site, which the team found buried under the vast remains of ancient iron production. "This building could contain the remains of the earliest furnace ever found at Meroe and would therefore greatly increase our understanding of the origins of iron production, not just at Meroe but perhaps in Africa." Dr. Humphris reveals that the team will also continue to develop the site protection measures they begun in 2016, and to implement various conservation strategies. She also explains she is particularly looking forward to handing out over 1,000 copies of a children's book, designed as an interactive language tool for teaching children about the impressive history of the site. "For more than six thousand years, horses have given their flesh, their strength, their patience and above all their spirit to the human enterprise. But beyond facilities needed to further exploit these gifts, humans have given surprisingly little back. "- Dr. Pamela Kyle Crossley, coauthor of The Earth and Its Peoples. Grant Hayter-Menzies' new book, Dorothy Brooke and the Fight to Save Cairo's Lost War Horses, is an eye opener not only for horse and animal lovers, but for all history enthusiasts. 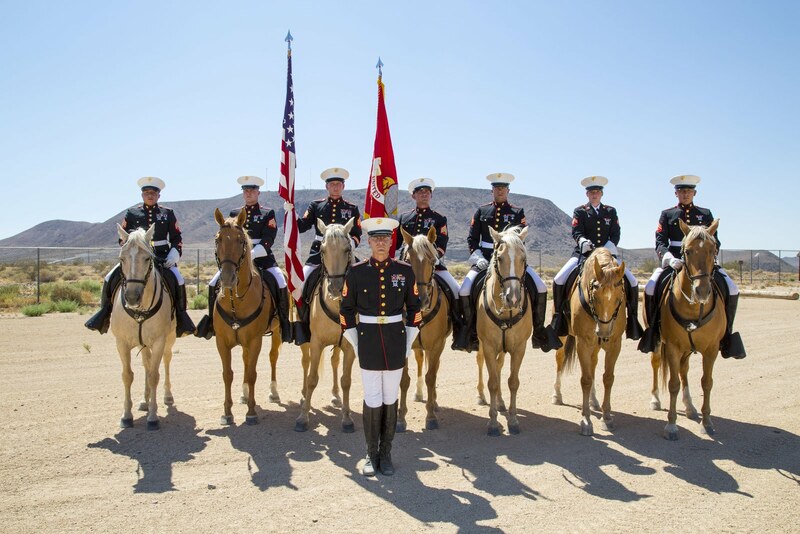 In August of this year, the United States Marine Corps' last remaining mounted color guard celebrated their 5oth year in service (below). 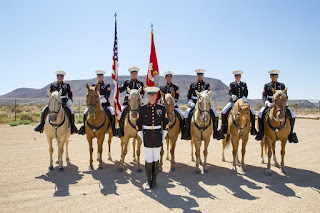 There are only a few other military organizations where the noble, magnificent horse plays a role today — mostly a ceremonial one. With one or two exceptions, horses have not been used in combat by American forces since World War II. At the beginning of that War, several thousand horses — and mules — were still used by the cavalry, artillery, supply and logistics branches of our military. However, as full mechanization of our forces became a reality in 1942, the brave and proud horse-mounted cavalry officially lost its horses. It was a much different story during World War I, when America and its allies used millions of equines to help win that war — a war in which "America's one million horses and mules served and sacrificed their lives alongside brave soldiers…"
Earlier this year, as part of its mandate to officially commemorate the centennial of our entry into World War I, the World War One Centennial Commission teamed with Brooke USA to recognize the contributions of America's horses and mules to the war effort and made Brooke USA's "Horse Heroes" campaign an official Centennial partner. "[Equines] who carried men to battle and wounded men to safety. [Who] transported food, water, medical supplies, guns, ammunition, and artillery to the front lines through appalling weather, over unforgiving terrain, in horrifying situations, and surrounded by dead and dying men and animals. Yet they continued to do their part, in spite of being terrified and often while sick and wounded themselves, and they worked until they were annihilated by guns or poison gas, or simply died in their harnesses from exposure and sheer exhaustion." The Commission could not have chosen a better organization or a better campaign for such a purpose. Brooke USA along with Brooke International — the world's largest equine welfare charity — provide sustainable equine welfare programs around the globe, in turn benefitting the people who depend on those animals. "After having worked so willingly alongside brave soldiers, and miraculously survived the horrors of war, most of the few remaining animals were discarded by their armies and given up for slaughter or sold into lives of hard labor and utter misery." Of the approximately one million American horses and mules who served in Europe, only 200 came home after the war. "Brooke," is named after Dorothy Brooke — the wife of a British cavalry officer, Brigadier Geoffrey Brooke — who, after arriving in Cairo in October 1930, discovered to her horror how several thousand former WWI horses who had served bravely during that War had been abandoned and left behind by the armies after the war, only for so many of them "to be sold into lives of unimaginable hardship, doomed to lives of unending toil and unspeakable misery, working on the mean streets of Cairo…"
In his latest book, Dorothy Brooke and the Fight to Save Cairo's Lost War Horses, Grant Hayter-Menzies meticulously and passionately chronicles how Dorothy Brooke dedicated her life to rescuing thousands of these battered and beaten equines from the "mean streets of Cairo" and its surroundings – eventually in many other places and countries — and, when not possible to save them, to mercifully end their suffering. Exhaustively researched, painstakingly annotated and emotively written, the book is about much more than Brooke's compelling love for the suffering equines. It is about the battles some of these valiant horses were part of — their bravery and sacrifices — continuing into World War II, when Brooke's efforts reached into the British halls of power and reaped assurances that "in future no English Army horse would be disposed of to the inhabitants of any foreign country under any conditions whatsoever." 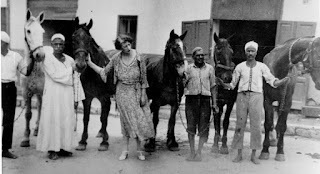 The book is also about the cycles of human misery that lead to such abuse and cruelty and about the political, cultural and social minefields Brooke had to navigate through in Egypt and elsewhere to achieve her goals of establishing and maintaining such equine-rescue institutions. Alan Mikhail, professor of history at Yale University and author of The Animal in Ottoman Egypt, describes the book as "A galloping tale of the intertwined histories of the last days of the British Empire in Egypt, the politics of human-animal relationships, and an organization whose work continues to this day." Horse lovers will be fascinated by and glued to this book. The author of this review, while an animal lover, has not had much experience with horses, nor much knowledge about their role – and bravery and suffering – during and after the "Great War." Yet, he was captivated by this well-deserved homage to Dorothy Brooke and to her work to reduce the suffering of equines — a book that is also a magnificent tribute to all "Horse Heroes." There is perhaps no one better to write such a thorough compendium of Brooke's work and of her legacy than biographer Grant Hayter-Menzies, a man who says that "equines run by the herd through his family history." 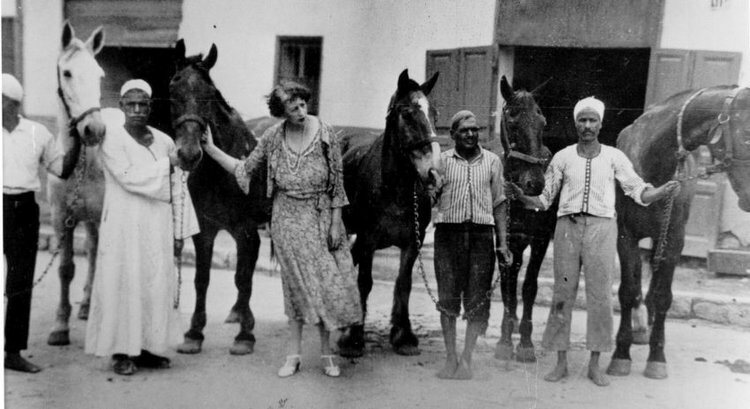 Dorothy Brooke's work includes reclaiming more than 5,000 old war horses and mules, mercifully ending their suffering. Her legacy, the dozens of Brooke animal-welfare facilities "dedicated to improving the lives of working horses" on three continents. Hayter-Menzies' works include biographies of remarkable women such as Shadow Woman: The Extraordinary Career of Pauline Benton and stories of extraordinary animals, such as From Stray Dog to World War I Hero: The Paris Terrier Who Joined the First Division. A testament to Hayter-Menzies' own love for equines and animals, is the fact that the author is donating 20% of the royalties from the book to The Brooke Hospital for Animals and 20% of the royalties to its affiliate in Egypt, Brooke Hospital for Animals. 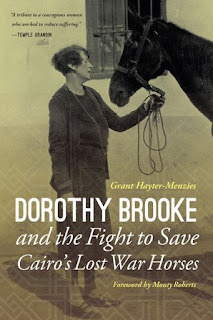 Dorothy Brooke and the Fight to Save Cairo's Lost War Horses comes out on 1 November 2017 in the US from Potomac Books (in February 2018 in the UK from Allen & Unwin). Sometimes-mundane tasks can't diminish the grandeur of the pyramids. Glistening sands and teaming life stretch far away. I stand at the head of a gilded Pyramid, looking away to the bustling lives and vibrant oases around me. Dust curls up along the horizon, eager to embrace a nearby village. Hippos lumber around the beaches, warding off wary intruders with their girth. This is ancient Egypt not as we imagine it—a popularized image of endlessly mythologized figures—but closer to Egypt as it really might have been. It's lush and vibrant, harsh and unforgiving; a land of scoped mystery, steeped in blood. Ubisoft has plenty of experience replicating realistic (or at least realistic-esque) worlds like these throughout the Assassin's Creed series. The mega-developer's latest tentpole, Assassin's Creed: Origins, continues the tradition. The attention to detail is exceptional, and here that's no mere quip about superficial beauty. Like a digital museum, great care has been spent curating the fineries and looks and culture of its disparate corners. 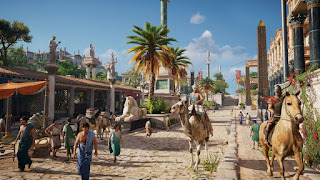 Indeed, Ubisoft has already announced a "Discovery Mode" update, coming next year, that literally turns the game into a digital museum, allowing visitors to rifle through relics and records, pyramids and obelisks to learn about the mores and traditions of the people who lived there. For now, though, Origins is more of a known quantity, a rough assemblage of the cornucopia of ideas that have settled into the popular consciousness of what games need to be (side missions, gathering, crafting, stealth sections, and so forth). As such, Origins has a sort of crushing variety, for better and worse. As in the many preceding Assassin's Creed games, you assume the role of a skilled assassin. This time you're Bayek, who lived two millennia ago as the last of the medjay—an ancient paramilitary order whose real-world counterpart all but vanished after 1000 BCE. He's charismatic and brutal, a rough-hewn product of his torturous life. Packed with rage and desperate for revenge—as these heroes always are—you follow Bayek as he treks across Northern Africa hunting a string of targets. Trope-laden as the set-up may be, Bayek is far more charismatic and rounded than many previous series protagonists. Origins weights his quest with many believable instances of injustice, such as greedy landlords abusing their power. Even so, playing Bayek isn't about a never-ending rage-fueled bloodbath, either. He quips, share drinks with friends, and makes nice with children. It creates the unsettling air that he's always bubbling, just beneath the surface, ready to explode and unleash a caged beast. That rage becomes an important and enduring theme throughout the game. Bayek's anger is righteous, yes, but it's also clearly hard-to-control and self-destructive. Even that bare level of nuance is surprising and refreshing in a major release like this. Markets and thoroughfares have an indelible pulse. They buzz with chatter and the clinking of coins, camel hooves, and bird caws. Much of the adventure centers on tracking your targets and navigating the political tumult of the era. This is Classical Egypt in its waning years, thousands of years from the time of the pyramids' construction, and long after the glory of the Egyptian Empire hit its peak. 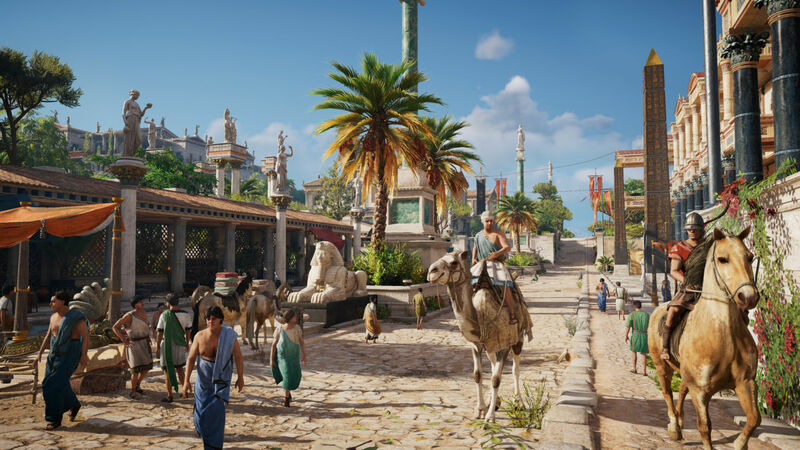 Naturally, Bayek finds himself at the fulcrum of history, adjusting the balance of power in the region—often unintentionally—in ways that leave their mark for millennia to come. There's a charming, popcorny grandeur to it all that dovetails well with the game's extensive playground. Watching camels plod about with the golden peak of Giza in the backdrop, or seeing the rolling waves that reach for the horizon, carrying whole fleets of triremes is like something out of a book, evoking an impossible era that seems mystical only because of its distance from the modern. Alien-obsessed conspiracy theorists notwithstanding, the game helps lead to a genuine realization that people—real human beings—built some of these gargantuan structures and, moreover, that such landmarks were well-integrated facets of ancient life. This alone is a revelation that comes in waves and curdles as a lasting marvel at our long-dead progenitors. What really hampers this adventure is how often the game trips over itself, hamstrung by the endless string of tasks you're given. This is still an open-world game, and while great care has been taken to make much of its "content" engaging, it's also got sterling ideas stretched far too thin. As but one example, like in Horizon: Zero Dawn before it, you'll spend a fair bit of time hunting for materials—be they leather or bone. You can then refine them into more useful tools or clothing for protection. The whole system is clever enough. Bayek can send a trained eagle to scout and mark fruitful hunting spots. This gives you a top-down view of the area, an objective, and a motivation to get there (gathering so that you can produce better equipment). That sounds like it's all you need—means, motive, opportunity—but all of the goals are extrinsic and don't align with the thirst for exploration that such lush riversides and mysterious deserts invite. Instead, you're led to grind for more and more, without cause or motivation. Much of Assassin's Creed: Origins can feel mindless, then, as if you're merely checking boxes and moving on—a problem the series has perennially struggled with. Some of those checkboxes, like traversing the land and immersing yourself in a nearly-breathing recreation of the Ancient, are phenomenal. They're only made more so when you get the opportunity to rub shoulders with important real-world figures like Cleopatra. Others, like clearing out enemy bases, are just the opposite. To its credit, however, Origins dramatically overhauls the Assassin's Creed formula, making even the dull bits far more entertaining than in some of its prior iterations. The series' signature parkour has evolved into an even more freeflowing and natural exercise than ever. These worlds feel seamless and far less game-y as a result. The impression is one of infinite possibilities, just waiting to be unearthed as opposed to being a guided tour that highlights a chosen path. Combat, too, has picked up a major rework. Your fights—both with your assassination targets and the guards as you're making your escape—have been honed to be more tactical endeavors. Positioning and focus matter. Bouts are largely duels, with you squaring off against only a couple of foes, often in succession. It's ordered without feeling rigid, and some spectacular animation work lends itself to fluid, almost artful dances with blades and knives. Despite this, Origins is a triumph, of sorts. The feeling of perusing the ancient world in this fidelity is special on its own, and one of the best examples yet for a game's visual beauty alone being a stunning, inspirational experience. But, far too often that gives ground to more traditionally game-y bits that dilute Origins' best moments. Astounding recreation of ancient Egypt feels alive. Great exploration and seamless integration of parkour feels like the series has finally fulfilled its purpose. Overhauled combat is a lot more lethal, and a lot more rewarding. Many of the series' most pernicious bugbears have been dumped. Bayek is charismatic and rounded. Technical issues on base-level consoles. Mundane tasks can make the rich world feel boring. Tonal problems can grind the game down far too often. Verdict: A shining example of what exploration-based games can be, dropping many of its franchise's worst traits even while being sometimes held back by the mundane. Buy it. 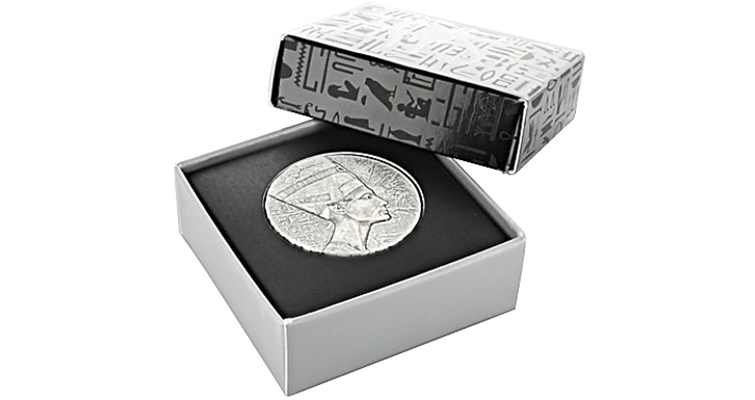 Individual Egyptian Relic 5-ounce silver coins are shipped in a display box. Image courtesy of American Precious Metals Exchange. An American company has coordinated the release of a coin for the African country of Chad, with a theme celebrating ancient Egypt. The Scottsdale Mint's latest release in the Egyptian Relic series celebrates Queen Nefertiti, the Egyptian queen and great royal wife of Akhenaten, an Egyptian pharaoh. The 5-ounce silver coin is denominated 3,000 francs CFA. The "rimless" design honoring the ancient queen is struck 11.8 millimeters thick and in a style to replicate a hand-carved Egyptian relic. The coin features a hand-brushed antique Proof finish and a distinct incuse design and a rough finish, to imitate the appearance of an ancient well-circulated coin. A right-facing profile of Nefertiti appears on the obverse against a background filled with Egyptian hieroglyphs. The reverse shows the national crest of the Republic of Chad. The design includes a shield in the center, with a lion on the right and a goat on the left. The national motto, common to many former French colonies, "Unite Travail Progres," appears on a banner below. The nation of issue is inscribed along with the face value, year of issue, weight, metal content, and purity. The coin measures 42 millimeters in diameter and has a maximum mintage of 30,000 coins. Single coins are packed in an individual glossy gift box, and multiples of four coins arrive in a larger box. The coin is available through distributors now at various prices based on the quantity purchased and payment method. Prices for the 5-ounce coin are generally around $4 per ounce above the silver or "spot" price. Here we go again. The clues are "written on the pyramids." Obviously these people read from the same book of facts as Donald Trump. A team of conspiracy theorists behind the site followed the growing number of earthquakes and volcanic eruptions that have hit Earth in the last few months. They claim the disasters were caused by the gravitational pull of Nibiru and that their frequency has risen as the planet's path brings it closer to Earth. 'The predicted backside alignment quake event is scheduled for November 19, 2017, when the Earth passes behind the sun relative to the Black Star [Nibiru].' he told the Express. 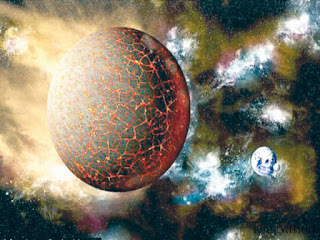 Back in September, Nasa was forced to publicly state that Nibiru did not exist in an attempt to quell doomsday fears. 'The planet in question, Nibiru, doesn't exist,' the space agency said in a statement. Nibiru would strike 33 days after the total solar eclipse. In his analysis, Meade cited how Jesus allegedly lived for 33 years. 'I'm talking astronomy. 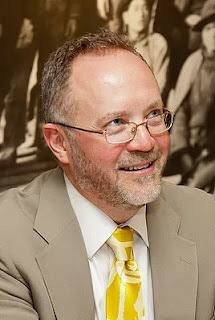 I'm talking the Bible,' Mr Meade told the Washington Post. In late August, Meade said that 'Nibiru' would hit Earth between September 20 and 23. The conspirator said: 'It is very strange indeed that both the Great Sign of Revelation 12 and the Great Pyramid of Giza both point us to one precise moment in time – September 20 to 23, 2017. 'Is this the end of the Church Age and the transition to the Day of the Lord? 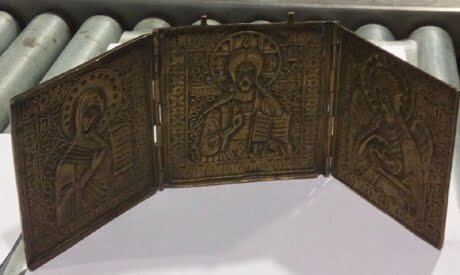 Antiquities officials at Hurghada International Airport foiled an attempt on Monday to smuggle an antique Coptic icon out of Egypt. 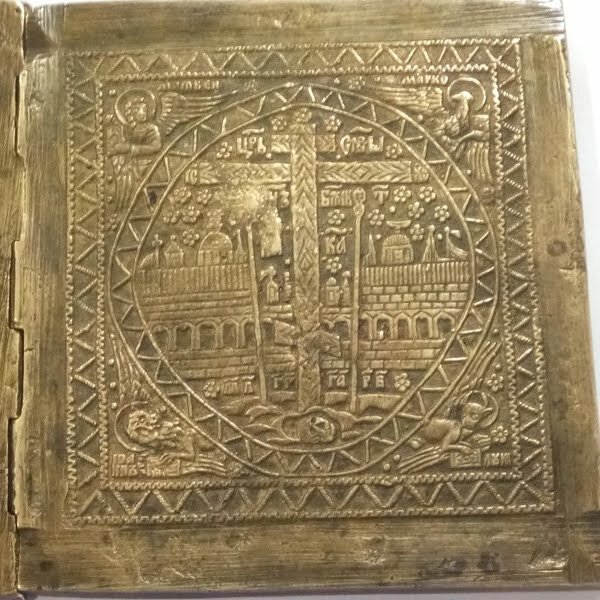 According to Naglaa El-Kobrosly, director of the Antiquities Units in Egyptian Airport, a passenger was attempting to smuggle the 18th century religious object to Germany. 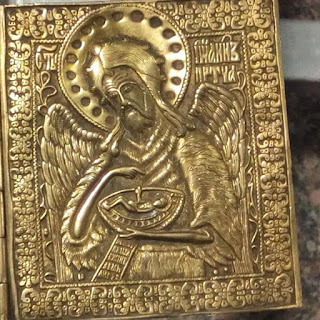 El-Kobrosly said the icon was confiscated because it is an antique object protected by Antiquities Law 117 of 1983 and its amendment in Law 3 of 2010. 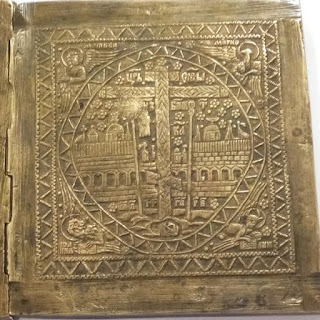 She said that the passenger tried to smuggle the icon inside some luggage. 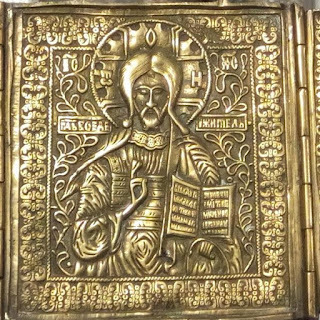 The copper icon is comprised of three sections decorated with religious scenes depicting the Virgin Mary and Jesus. 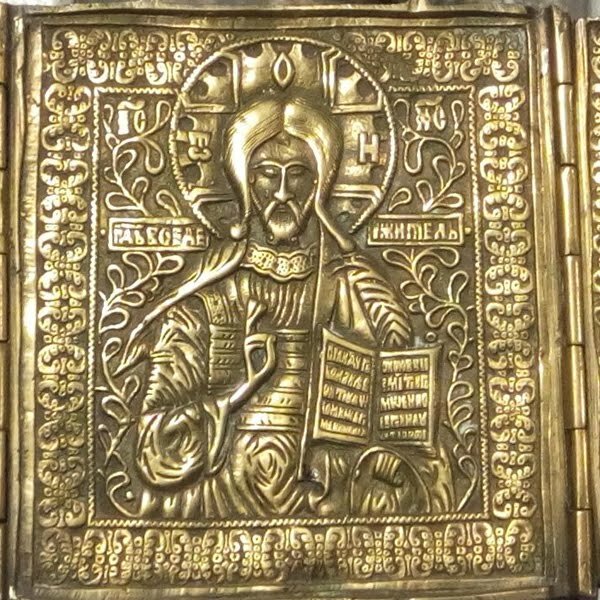 It was made in the Byzantine style associated with the Greek Orthodox tradition.